What would you say to someone considering the graduate scheme? Josh: Do it. If you want to challenge yourself and expand your skillset to include a wide range of useful programming languages then the Confused.com IT graduate scheme is a fantastic opportunity. Adam: If you’re looking for a learning experience, definitely apply for the scheme regardless of your experience with software to date. The expertise and support which we have access to at Confused.com are fantastic and we’re all progressing faster than we thought possible. How have you been able to apply skills from your degree? Sam: Problem solving has been a great skill that transferred from university. Group projects and technical work that were part of my degree have been very useful for this scheme. Adam: Despite having no prior experience with software, I’ve found that my engineering background has been hugely beneficial to working in a small group to solve technical problems in novel ways. How have you found the on the job training and support? Adam: Training and support here is exceptionally good. We’ve had access to experts and mentors from day one and we are actively encouraged to ask questions and reach out when we need some help. We’ve also had some intensive crash courses in coding with HTML, CSS, C# and SQL. So what exactly does your role entail day-to-day? Sam: Well early on there was plenty of training. Now us grads have been working on an invoicing web application for the company’s finance team. This consists of programming, meetings and learning, whilst enjoying our time here. Rach: It is difficult to pick one thing, I enjoy all aspects of my job. But if I have to pick I’d say the support network – there are a lot of people willing to help you out if you get stuck or need advice. I feel appreciated with the work I do. How do you see your career developing longer term? Josh: I’ve learned so much in six months. In the long term, I can see my career developing within Confused.com. 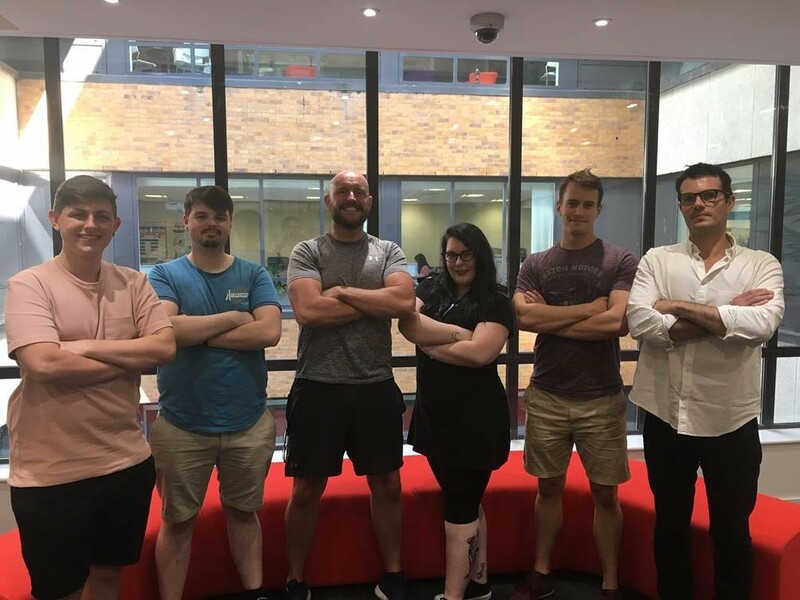 With the opportunity to have a stint in the different teams of the IT department I am guaranteed to find something that peaks my interest, and that I will want to develop in further. What’s the best thing about living and working in Cardiff? Josh: Cardiff is a fantastic city to live in. The office is central too, so you have got everything you need and want on your doorstep. It has the best of both worlds: both a large selection of food places and entertainment. Phil: Becoming an IT graduate at Confused.com is an incredible opportunity, and I would highly recommend it to anyone looking for a career in IT. Rach: Go for it! It may seem big and scary but you’ll learn so much from the best people. Adam: This is my first real job since graduating and I genuinely wouldn’t have believed I could enjoy a full time job as much as I enjoy this one. Just apply and see what happens! 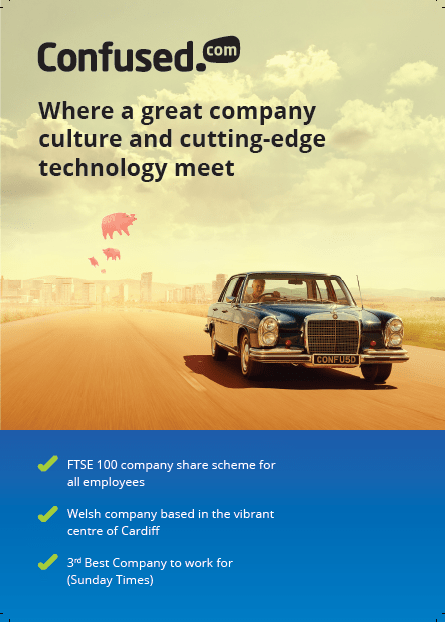 You can meet Confused.com at the STEM Careers Fair on Wednesday 17th October 2018 11:00 – 15:00. 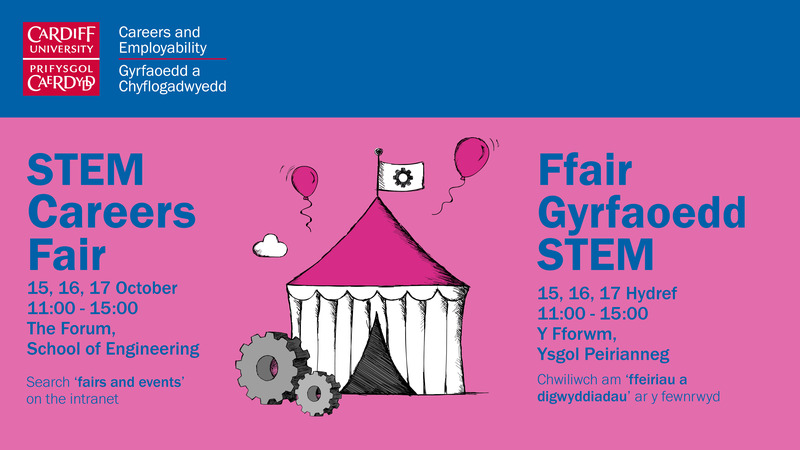 This event, organised by Careers & Employability is designed to help you to meet employers and find out about the range of STEM jobs, summer placements, internships, and postgraduate study and time-out opportunities available to you after graduation. The STEM Careers Fair is aimed at Engineering (ACE, EEE, MMM), Computer Science, Physics and Astronomy and Mathematics students.